Need something to do this football-free Sunday evening? 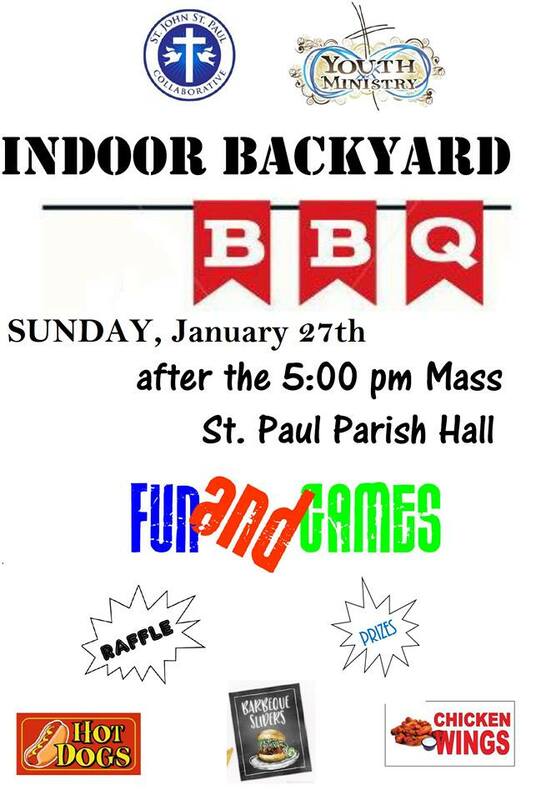 Come to the St. Paul Parish Hall for some FREE food and fun at our St. John-St. Paul Youth Ministry Winter Indoor BBQ! It starts around 6:00pm after the Sunday 5pm Youth Mass.